Between brewing magically spiced treats at Honeybee Bakery and volunteering with a local conservation group. Katie Lightfoot has barely any time to see her firefighter boyfriend, Declan McCarthy, much less delve further into her destiny as a witch. 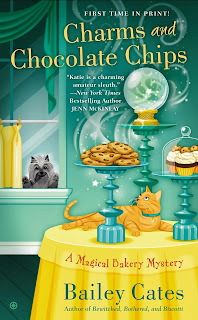 But avoiding her fate won't be as easy as whipping up a new recipe--especially when Katie finds herself once again mixed up in murder. I will admit that this one was better than the last one, Bewitched, Bothered and Biscotti, but still not up to par. While there were a lot of suspects and magical suspense, the ending was a flop. I understood why the murderer did what they did, but there was a confusing part of a magic spell that didn't make sense. I was left wondering what the hell happened and why. I think that this took a lot of what could have been from this book. The ending felt rushed and not very clear and I was disappointed in the lack of effort. I enjoyed the characters as they have become familiar, but sloppy endings tend to make a good book a bad book in my eyes. 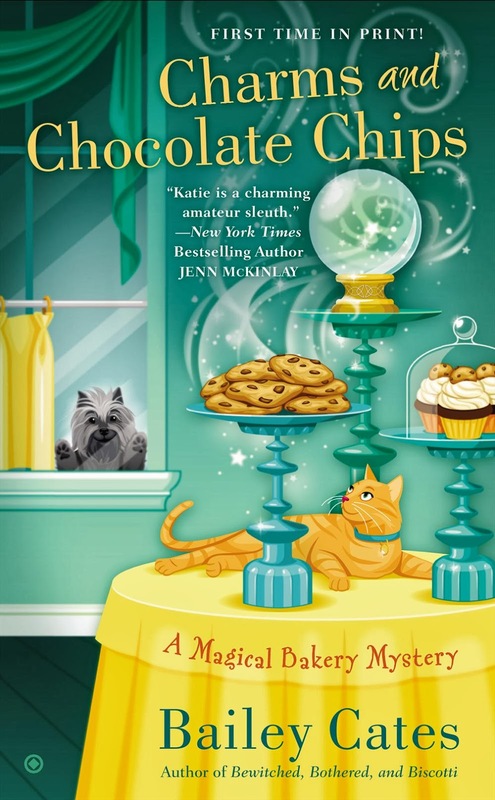 Don't get me wrong, this was a cute cozy mystery that features magic and baking. It just doesn't seem to hold up to some other books and series in this genre that seem to stand out. The author does make a good attempt at keeping the series going, but seriously if it doesn't get better, this series might become a flop. I hate when I love the first book in a series and then the others don't live up to the brilliance that the series started with. The second and third books, seem to lack the charisma and it becomes very hard to continue with a series when it almost becomes a chore to read them. I'm not quite at that point with this series, yet, but this reader needs something spectacular to make this series become a favorite again. 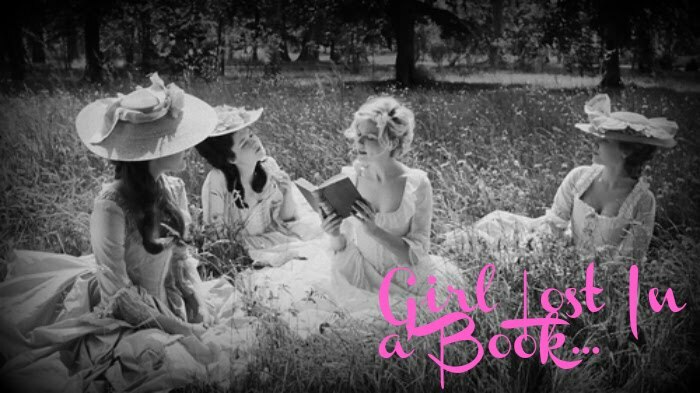 I love the characters and their stories. I appreciate that the romance problem that was a previous problem for me, was fixed in this series. Finally! I hate love triangles and I am glad the author decided to make a move on that front. I will wait to read the next in this series before making a determination on whether or not to continue this series. Nothing to knock your socks off, but entertaining in its own way, I suppose. Who is the cute little dog peering in the window?! I'm a sucker for books with cute dogs on the cover, especially terriers. That's Mungo..He's a Cairn Terrier and just a cutie pie.